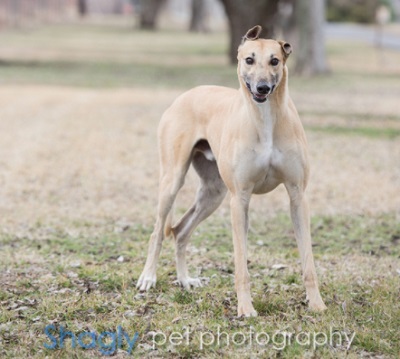 Thor is a 3 year old fawn male born in 2015. He was part of the population from the blood bank facility located in Cherokee, TX that closed in November 2017. Thor has been evaluated by GALT's veterinarians and has completed all his medical procedures. Thor is fine with dogs, including small ones but is not a friend of cats. He loves toys and walks very well on a leash. He's ready for a patient, low key home of his own. 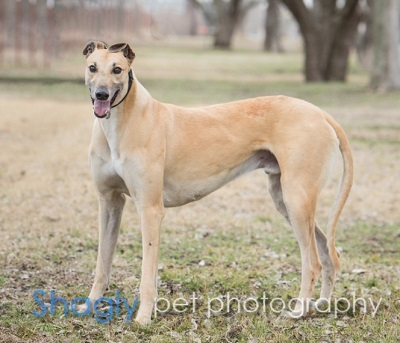 Marvel at Thor (aka god of Thunder); he is a gentle giant boy. After a few weeks in his foster home, Thor is learning to love the good life quickly. Thor has a huge smile that he flashes to his trusted humans; some might not realize this toothy expression is his way of expressing that he is bonding to you and has a deep desire for a loving leadership. He is a very submissive boy to his humans and foster pack. Thor is exceptionally smart, more than any greyhound his foster momma has known; for instance he’s figured out house training in a snap with few accidents. Thor was shy in the home environment at first (especially around men), but his intellect will ultimately win the day and he will learn he is safe. Thor is exceptional on the leash (with occasionally playing the “statue game”) and so far is only mildly vocal (and will roo when inspired by pack mates). He loves getting and giving affection and definitely ”leans in” to those who are fortunate enough to meet him. Thor is learning about eating things that aren’t food and that counter surfing isn’t welcome. Slick floors are a bit scary and a carpet river will help him navigate through the house. His ideal forever family will be patient, “tidy”, vigilant, and continue to work on a few corrections. He has figured out how to open doors (literally)! His foster family feels certain he will open your heart more than anything. This boy’s personality is as exceptional as his gorgeous face complete with deeply soulful eyes.